For those who are unfamiliar with that event, it took place in March of 1697. 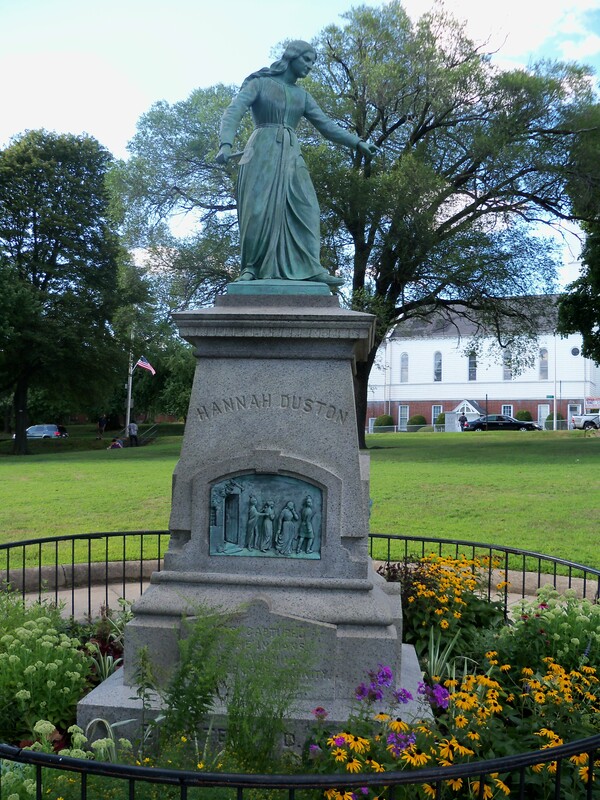 Hannah and her husband Thomas lived in Haverhill with their twelve children, the youngest only a few days old. One day when Thomas was out in the field working with the children, Indians started to attack. 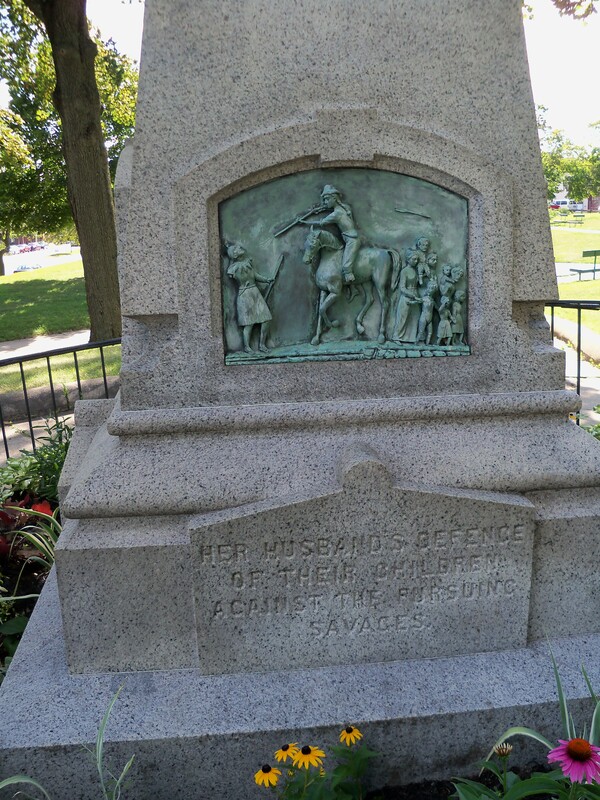 He sent the children up to the garrison then went to get his wife, but quickly realized he wouldn’t have time to save her and their new baby, so he followed the children, holding off the Indian party that had followed them. Back at the house, the house was ransacked and Hannah and Mary were made to dress and go with the Indians. Along the brutal march, the new baby was crying, so one of the Indians took her and smashed her head against a tree in front of the horrified Hannah. Over the next few days, they were marched and threatened. They were also joined by a fourteen year old captive named Samuel. Hannah was determined to escape, especially after seeing the treatment of her baby and hearing the stories of expected treatment in Canada. The opportunity came after Samuel had asked one Indian how to scalp people. The Indian proceeded to explain in great detail how a victim was struck and the “proper method of scalping.” Samuel passed this information on to the ladies who began to watch for an opportunity. One night, the Indians let their guards down. They were sleeping soundly, convinced Samuel was like family and the two women to weak to escape. The three positioned themselves around the Indians. On Hannah’s signal, they quickly killed ten of the twelve Indians (two awoke and fled, wounded.) Hannah, Mary, and Samuel took provisions, a gun, and the tomahawks and headed out in their captor’s canoe. Realizing their story was too incredible to be believable, they returned and took the scalps of their victims for proof and bounty. Eventually, they were able to make it back home and rejoin their families. 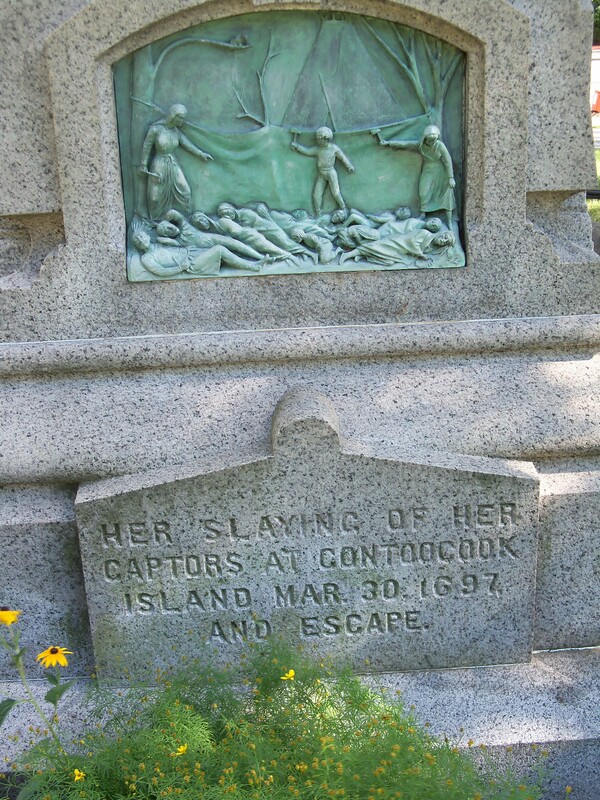 They later made it to Boston to claim a bounty offered for Indian scalps. 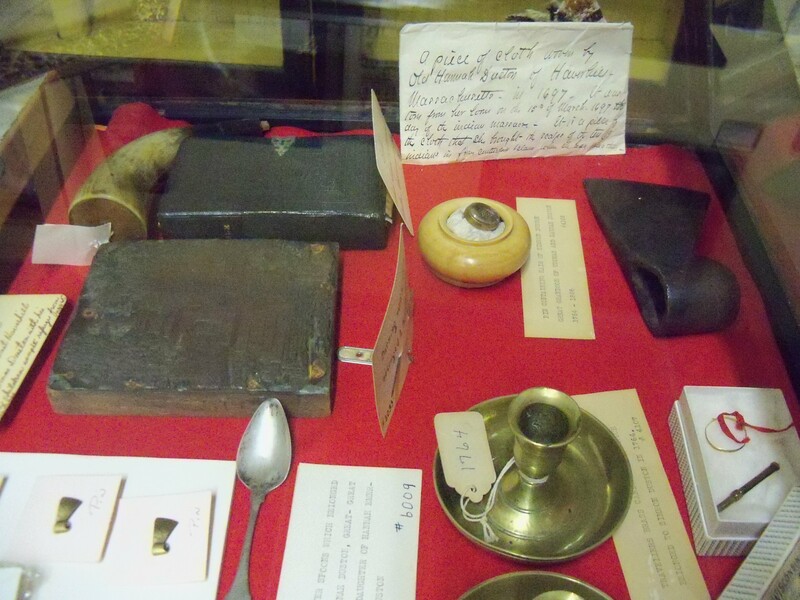 While driving through Haverhill, we got to visit the museum which housed various artifacts from the Dustons including a bullet pierced window, a scrap of cloth torn off her garment as she escaped, a ring, a few tomahawks, a small Bible, and Thomas and Hannah’s confessions of faith. We also got to visit the statue dedicated to her. It was an amazing reminder to me that we come from a long line of survivors. Thomas and Hannah’s oldest daughter Hannah married into our family line. It was also a reminder of the fact that everyone has a story, and there are many more legacies to be found.